This is not usually the type of books I buy so I borrowed it from Basheer Graphic Books for this review. You can order the book from them. Check with Basheer on Facebook or visit their website. Compared to importing from Amazon Japan, Basheer's price for Japanese books are quite good. 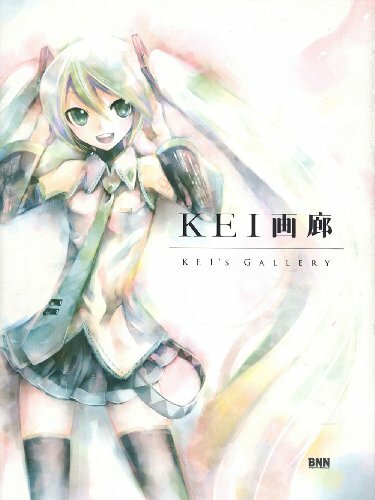 This paperback book is a collection of Shoujo art from KEI. The illustrations feature mainly female characters. The drawings which are mostly digital paintings are nice but as with this style of art, it should appeal to a more specific audience. It has mixed to favourable reviews on Amazon Japan so I guess there are readers who like it quite a lot.